Arthur memes are mostly made up of image screenshots from the PBS Kids show "Arthur," which aired in the mid-nineties and grew to become a cartoon favorite by kids everywhere well into the 2000s. 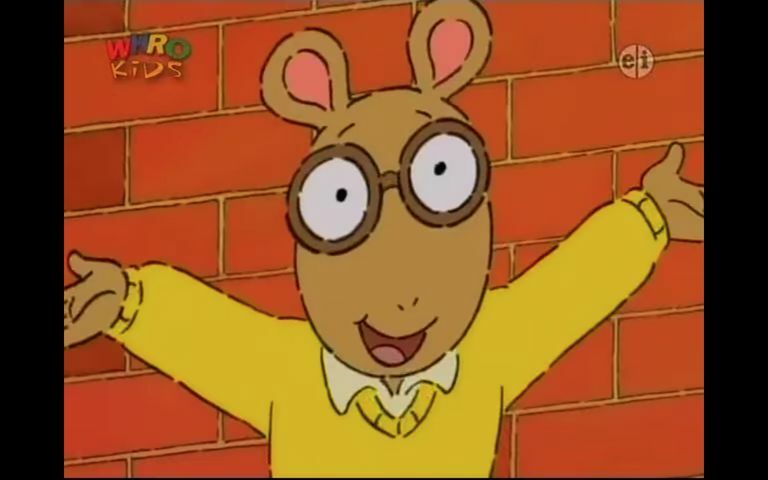 The show is based on the original Arthur children's book series by Marc Brown. What Do Arthur Memes Mean? Arthur memes can mean almost anything depending on what's shown in the image and what's said in the meme caption. Most of them all mean to poke a little fun at an innocent children's show made for educational purposes by applying them to less innocent, more adult problems and situations. How Are Arthur Memes Used? Meme lovers typically use Arthur memes to express their emotions about something. One of the most popular Arthur memes is Arthur's Fist, which shows an image of Arthur clenching his fist. It's often used as a reaction to express frustration or annoyance. Some Arthur memes are pretty raunchy, making them totally inappropriate for kids. Many however feature regular, everyday situations that almost anyone can relate to experiencing. And I Say, Hey! What a Wonderful Kind of Day! Every kid who grew up watching Arthur knows the theme song off by heart. Those who've heard it one too many times during childhood or adolescence probably can't stand to hear it again. The look on DW's face is how we all look when we check social media and get hit with a serious sense of FOMO (Fear Of Missing Out). Hey, That's a Lot of Money! It might not be much, but at least it's more than you thought you had! Real friends wear each other on their feet, according to Arthur and Buster. Arthur's enthusiastic walk down the street is the most relatable reaction to any opportunity for going out to eat—even when you're trying to stick to a strict budget. Is it any coincidence that both John Legend and Arthur play the piano? You know you've got a real friend when you have a solid connection that goes beyond the weird outfits and opposing cliques you belong to. It's nice to go out every so often, but you're not made of money and wish she'd offer to pay for once. Is that so much to ask? ​ That look of self-doubt in Francine's eyes is all too familiar. Every kid plans to wear their best outfit on the first day of school, no matter how uncomfortable. But weeks later they're usually back to sweats and baggy shirts! It's awkward when you're an aardvark living in a human's world. Cake Is Diet Friendly, Right? All self-control is lost when cake or other delicious baked goods are nearby. No girl has time to waste on liars, cheaters or manipulators. DW has the look and attitude down pat in this image! Who's That Girl Who Keeps Liking His Instagram Posts? Speaking of liars, here's an image of Muffy looking ready for a serious relationship confrontation. You know you're supposed to let the little things go, but sometimes you just can't!